classification at all. The very concept of phylogeny did not arise until Charles Darwin published his theory of evolution, which included the idea of common descent. 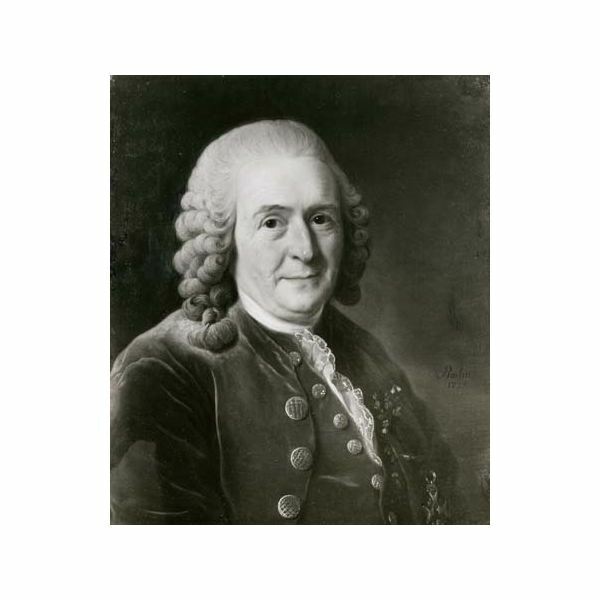 The roots of our current system of biological classification lie in the 18th century with the naturalist Carolus Linnaeus, long before Darwin. Linnaeus' major publications, Species Plantarum (Plant Species) and Systema Naturae (Systems of Nature), divided living things into heirarchical categories and assigned each species a short but unique name. The categories were based on the physical characteristics of organisms. Plants were arranged according to the number of stamens in their flowers, which does not reflect their evolutionary relationships well. Some taxa developed under the Linnaean system, such as the mammal orders Insectivora and Pachydermata, are based only on superficial resemblances and have no bearing on phylogeny at all. The current system includes eight major ranks: Domain, Kingdom, Division (plants and fungi) or Phylum, Class, Order, Family, Genus, and Species. Each rank is called a taxon (plural taxa). Every known organism is classified into taxa of these eight ranks, and often into a number of intermediate-ranking taxa as well (for example, Subphylum or Superorder). The consensus among biologists today is that classification should reflect evolutionary relationships. To that end, taxonomists have adapted the Linnaean system to better represent evolutionary relationships. Each taxon can be described one of three ways. A monophyletic group contains all the descendants of a common ancestor. A paraphyletic group includes only some of those descendants while classifying other descendants into their own monophyletic taxa. Paraphyletic taxa are therefore groups of "leftovers." A polyphyletic group includes certain taxa, but not equally close "cousin" groups. Polyphyletic groups usually result from classifying based on similar traits that have independently evolved in different groups (convergent evolution). Biologists generally agree that taxa should not be polyphyletic. Thus polyphyletic taxa like Insectivora and Pachydermata have been abolished. Some paraphyletic taxa, on the other hand, have been retained. Class Reptilia is an example. Animals whose embryos are protected by several specific membranes form a monophyletic group called amniotes; Class Reptilia contains all the amniotes leftover after mammals and birds are removed. Biologists accept paraphyletic taxa when it is thought that the taxon is useful because of shared characteristics of the member species. The science of cladistics has made it possible to map evolutionary relationships with great precision. With the growth of this discipline, it has become apparent that the current system of heirarchically ranked taxa suffers several drawbacks as a system based on phylogeny. For one thing, the ranks are placed at arbitrary points which are the result of subjective decisions. And new discoveries sometimes require major rearrangements; this occurred dramatically in 1990 when the rank of Domain had to be added to what had previously been a seven-rank system. In 2004, the International Society for Phylogentic Nomenclature (ISPN) was inaugurated in Paris, France. The problems of traditional classification led to the ISPN's proposal of a new set of formal naming rules for clades called the PhyloCode. The PhyloCode, which is still being developed, will be based solely and explicitly on phylogeny. It will provide a formal naming system for parts of the Tree of Life, though it will not replace current species naming. Not every clade need receive its own name under the PhyloCode. Its purpose is to provide clear, unique, and stable names that are useful for reference. The role of phylogeny in classification has changed through the history of biology. While at one time the concept did not even exist, it later became a major basis for taxonomic work, and with the development of the PhyloCode, scientists may soon use only phylogeny in classification.